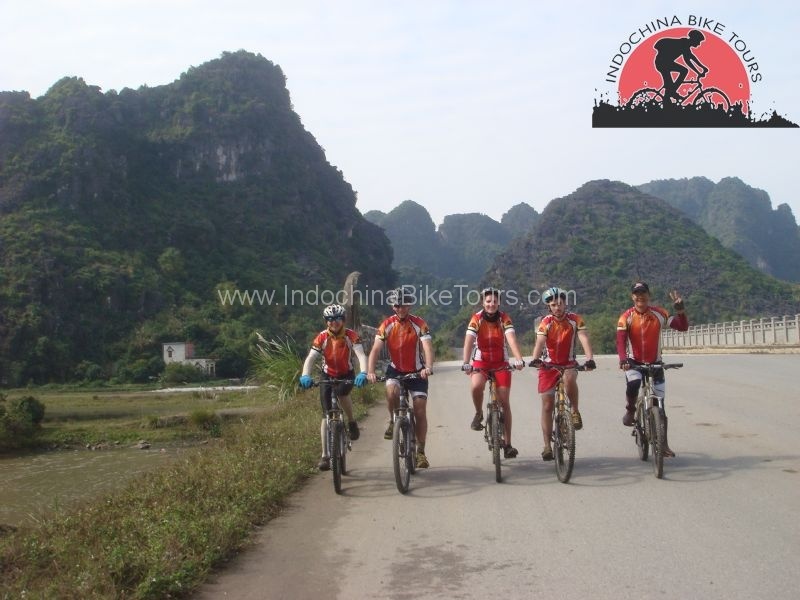 Vietnam Mountain Bike Tour – 07 Days .We drive and cycling to the north from Hanoi to Thu Cuc. 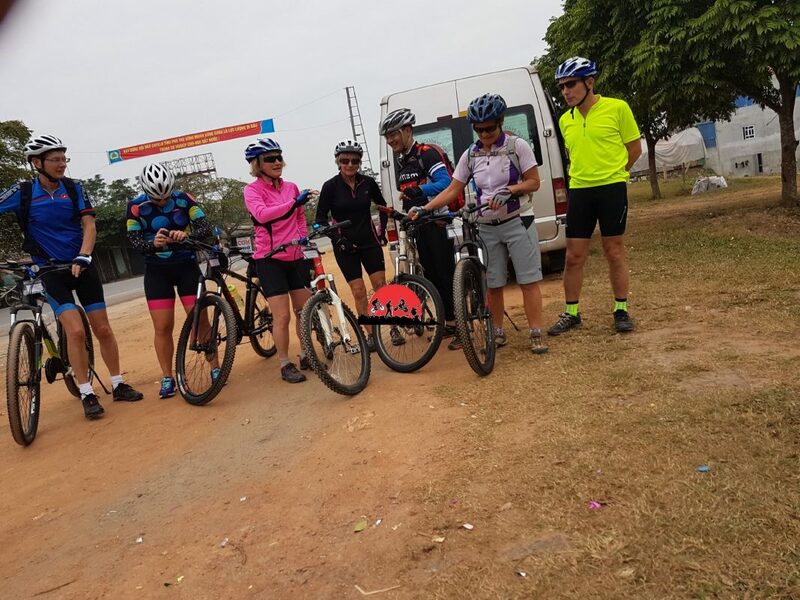 At Thanh Son, we’ll have a refreshment break before our first bike ride, which is a reasonably easy 40–50 km and a good warm-up. 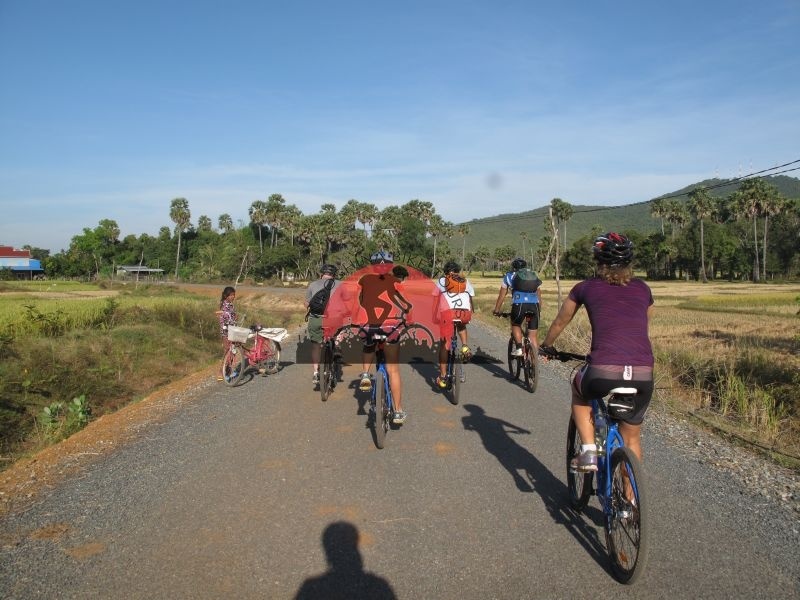 We’ll stop for lunch back in Thu Cuc, and in the afternoon we have the option of cycling up to another 60 km towards Nghia Lo, a small town in a big valley inhabited by ethnic Thai people…. After breakfast at your hotel 7:30 Am pick up and we drive north from Hanoi to Thu Cuc. 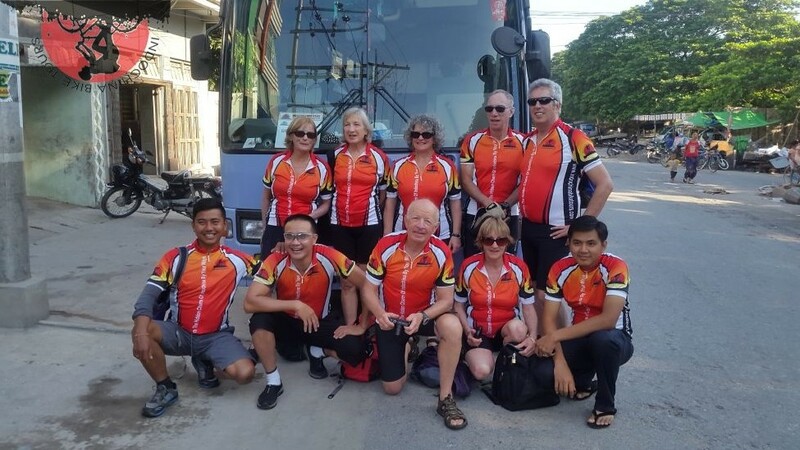 At Thanh Son, we’ll have a refreshment break before our first bike ride, which is a reasonably easy 40–50 km, and a good warm-up. 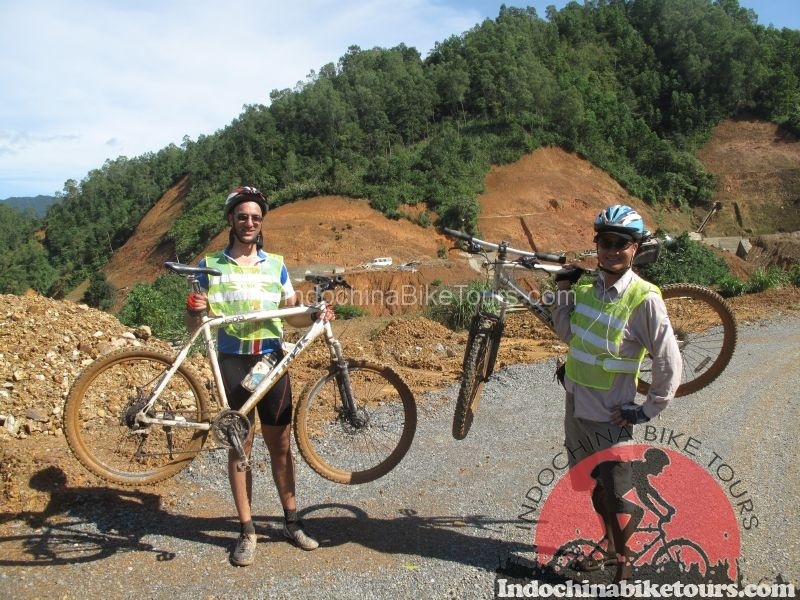 We’ll stop for lunch back in ThuCuc, and in the afternoon we have the option of cycling up to another 60 km towards NghiaLo, a small town in a big valley inhabited by ethnic Thai people. 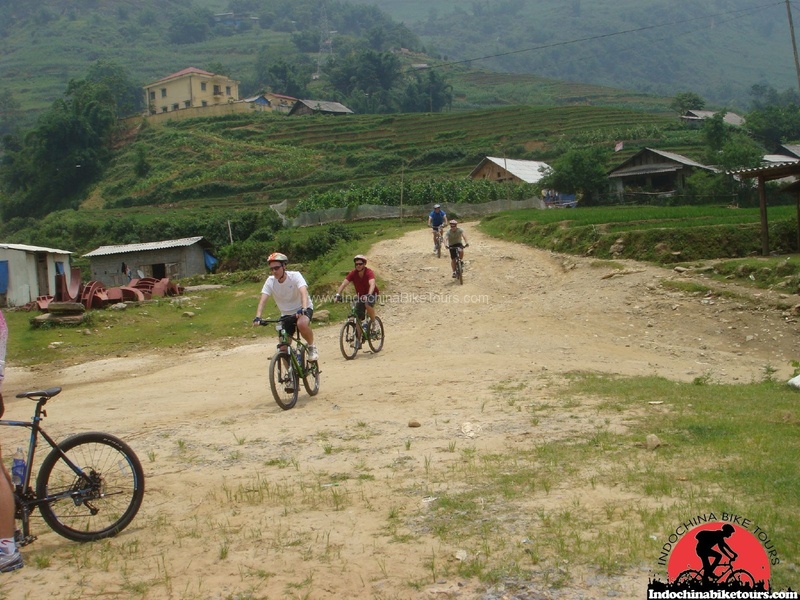 There are no single trail options today, but your guide can take you on quiet dirt roads through some small villages. We overnight in a simple but comfortable guest house in the hills at Suoi Giang . There are several riding options today which your guide will discuss with you in advance. After breakfast we suggest you cycle the winding dirt roads past several villages, before traveling in the backup vehicle to peaceful TuLe. From here, it is 80 km to ThanUyen, in Vietnam’s least populated province, LaiChau. You can choose to cycle or ride part way in the vehicle. This is one of the most beautiful stretches of road in North Vietnam, with imposing mountains and rice terraces. It is also home to the colourful Hmong, Dzao and Tay hill tribes, who we’ll meet along the way. 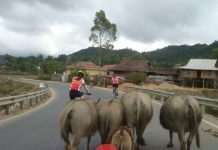 We warm up on a single trail around Than Uyen before driving through mountainous countryside to Than Thuoc for lunch. 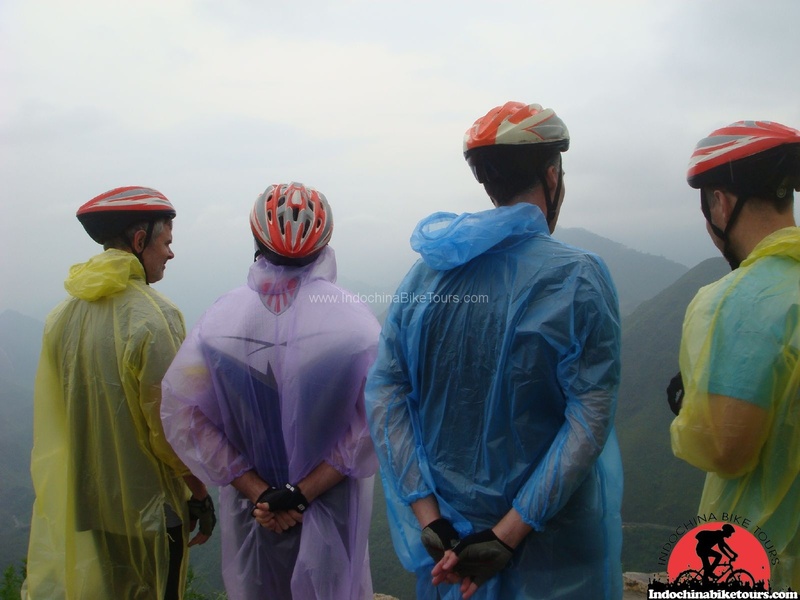 As we approach Hoang Lien Son peak, Vietnam’s tallest, we cycle on the main road between 1000–3000 m mountains, finally reaching Vietnam’s highest pass (1900 m). You can, of course, choose to ride in the support vehicle. 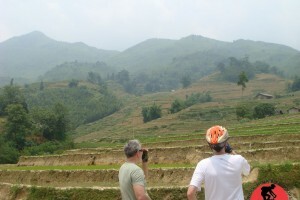 We then descend to the beautiful mountain town of SaPa (at 1600 m). The deeper into the mountains we go, the more hill tribes we will see, wearing amazingly elaborate and colourful costumes with huge earrings. Today offers a half-day trip on dirt roads and single trails, plus a steep downhill (1000 m). 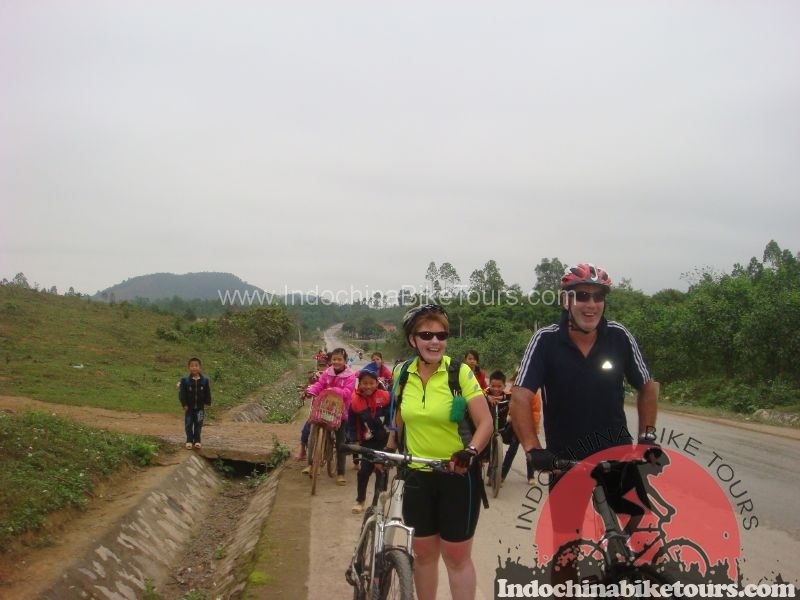 We will be walking and/or cycling from village to village, meeting Hmong and Tay hill tribes. Trails sometimes pass through locals’ backyards(don’t worry, they don’t mind!) and they will often gather excitedly to watch cyclists as they pass. After our picnic lunch at a waterfall, there’s time for a refreshing swim before we drive back uphill to SaPa. The rest of the day is free explore this beautiful mountain town of about 140,000 people near the Chinese border. We are normally surrounded by deep blue skies and fluffy white clouds as we leave SaPa, travelling through the beautiful village of Ban Khoang. We’ll wind our way up higher and higher into the mountains on a country road. 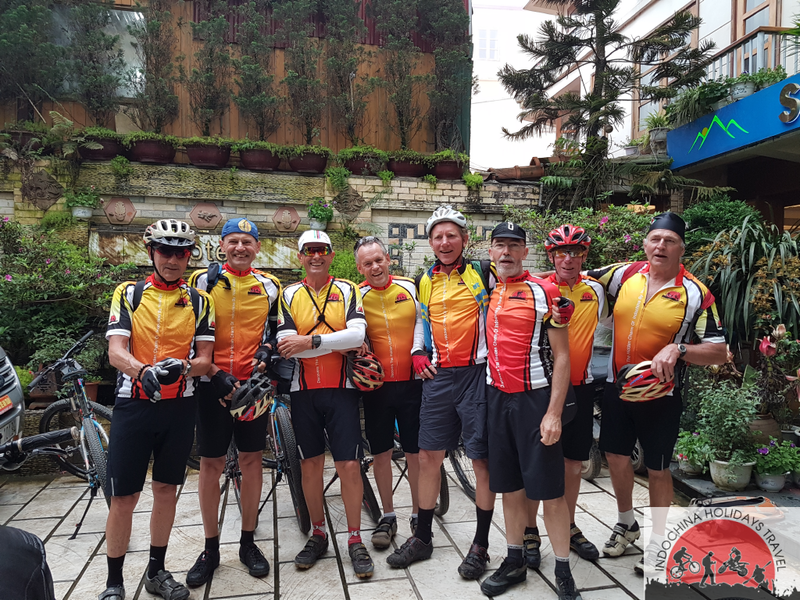 We will be cycling at high altitude for half a day at 1400–1600 m, followed by a long descent to the city of Lao Cai on the Chinese border. We finish with a drive to the stunningly beautiful village of BacHa (1400 m). This border town is known for its colourful weekly markets. The drive takes about 2 hours, and we’ll overnight at a hotel here. The Sunday market here is a great opportunity to view local lifestyles and meet the people. Make sure you bring your camera! The scenery and the ornate clothing is amazing. Around midday we’ll cycle on trails through villages for up to 4 hours, admiring beautiful mountains and forest. The main tribe we will see today is the Flower HMong, one of the most colourful and richly dressed in Vietnam. We’ll be a major focus of attention wherever we go. Even seemingly in the middle of nowhere, people will suddenly appear from the hills. 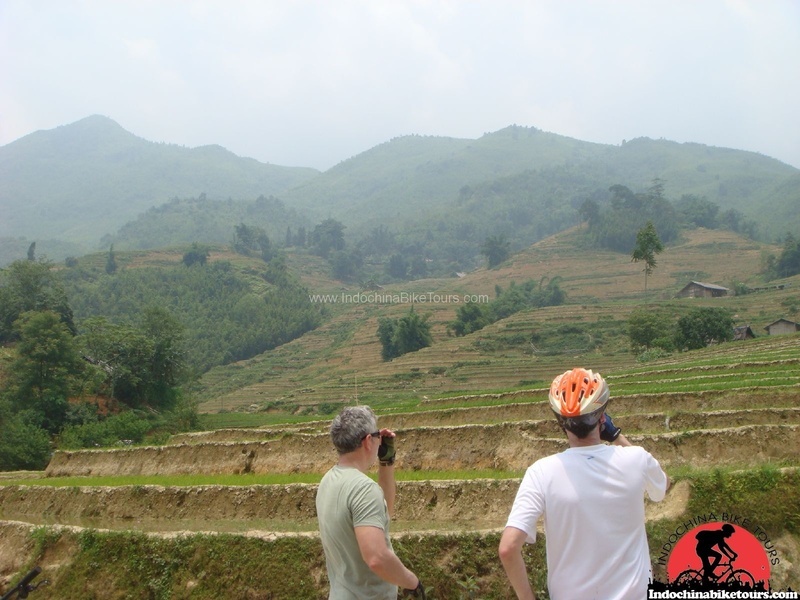 ( If not Sunday we will explore some H’mong villages ) or Saturday will visit Can Cau market . Tour prices are in USD per person and based on group size . Personal expenses and other services which are not mentioned in the program. Fresh tissue and some fruits while touring ! Glide up and down hills, through villages and fields to experience the north’s wilderness.